Is this a case of a devilishly haunted hotel? Was it a brutal murder? The result of some sort of evil witchcraft? Or simply the tragic last moments of an insane and suicidal young woman? What did happened to Elisa Lam? No one knows how to explain her death. It’s a true mystery, and a macabre one at that. 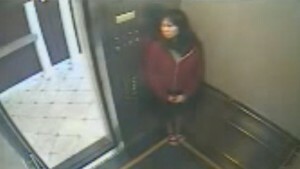 Why was she acting so strange in the elevator videotape? What was she scared of? How did she end up in the water tank – and more importantly, how did she get the heavy top of the tank closed once she was inside? There are so many troubling mysteries here. The whole thing is terrifying! “There are mysteries that are so eerie and strange that they boggle the mind for days on end. The case of Elisa Lam is one of them. In February 2013, this 21-year-old student from Vancouver, Canada, was found dead inside the Cecil Hotel’s rooftop water tank in Los Angeles. The L.A. County Department of Coroner ruled the death “accidental due to drowning” and said no traces of drugs or alcohol were found during the autopsy. However, there is much more to the story than what is implied by police reports. The first piece of evidence that needs to be considered is an elevator surveillance tape that recorded Elisa’s behavior only a few moments before she lost her life. …And read more here, if you dare! For the rest, click here to go to Disinformation. 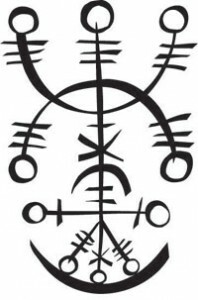 …And if you’re truly curious about the sorcery behind such a thing, click here for the “stave” for Necropants on the website for the Museum of Icelandic Sorcery & Witchcraft. “Life force energy, also known as chi or prana, is found in everything. This subtle and pervasive energy is said to be the vital building block of all matter and creation, both physical and non-physical. This energy flows in, through, and around the body, forming vibrant and cohesive living systems in endless forms. Many traditions believe that a steady supply of chi is necessary to sustain all living beings. By understanding the rhythm, flow, and the qualities of life force energy, a wide variety of exercises and healing practices have been developed over time to improve health, vitality, and longevity. These practices are worldwide and span across all cultures including Reiki, Qi Gong, Pranic Healing, and many more. The rest, here, and a video below. Posted by Emily, blog editor.